Check out Tobi's Off Duty Cargo Jacket Keep things casual-chic Off Duty Olive Cargo Jacket. 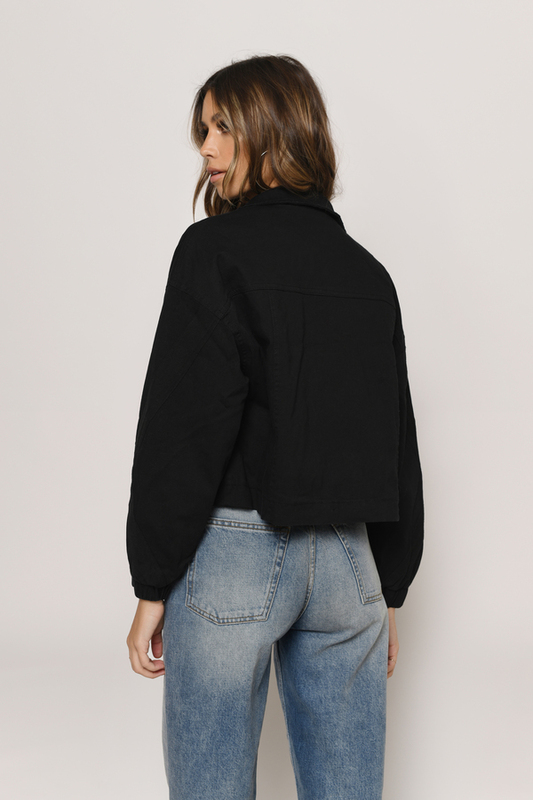 This cropped bomber jacket features relaxed sleeves, front zipper, button details, and cute collar. Pair this short cargo jacket with ripped denim jeans and boots. Keep things casual-chic Off Duty Black Cargo Jacket. This cropped bomber jacket features relaxed sleeves, front zipper, button details, and cute collar. Pair this short cargo jacket with ripped denim jeans and boots. Keep things casual-chic Off Duty Olive Cargo Jacket. 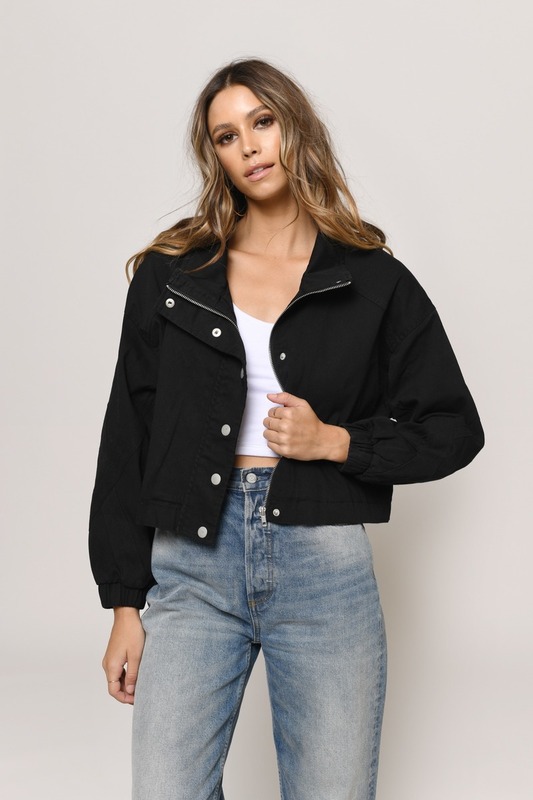 This cropped bomber jacket features relaxed sleeves, front zipper, button details, and cute collar. Pair this short cargo jacket with ripped denim jeans and boots.